​A delicete smokey taste, rich in natural virtues. Sprouted Brow Rice cheese with turmeric flavour for a refined and unmistakable taste. Perfect plain as it is or in any cold or hot dish. 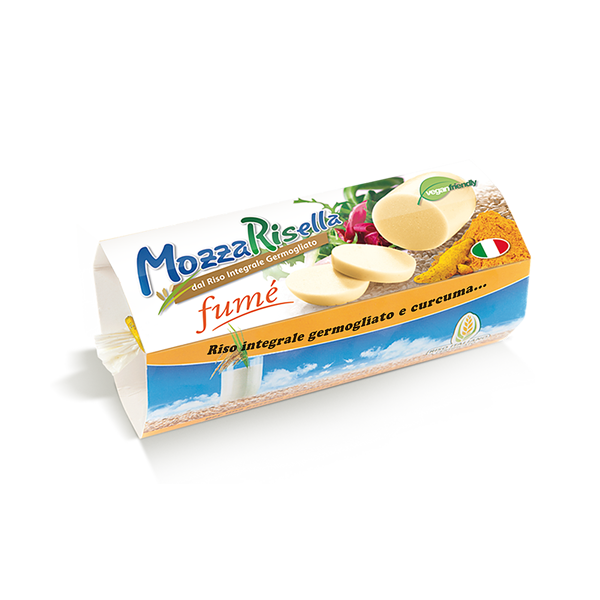 MozzaRisella Fumé is a 100% vegetal, fresh, pasteurized vegan alternative to cheese without preservatives. All its main ingredients are natural and certified by the European Agriculture Agreement for not containing any single synthetic compound in it. 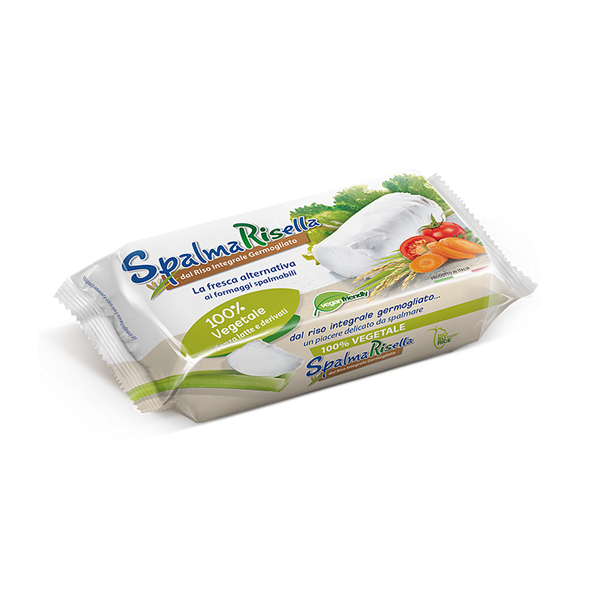 The aromas used are required to be 100% of vegetal origin, vegan friendly. MozzaRisella Fumé is characterized by its unique smokey taste, ideal to enrich plain dishes or as a meal on the run. Try it plain or warm it up, it will melt down so that it’s ideal to whisk and stuff your recipes. You may like it also instead of cheese in the world famous stuffed polenta dish. 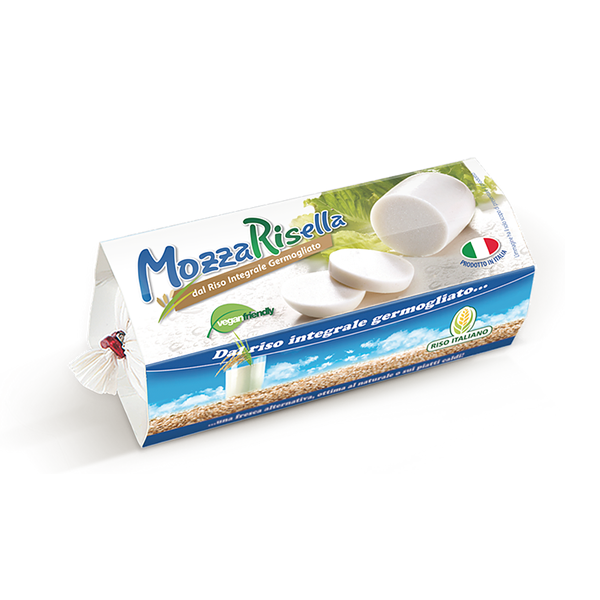 MozzaRisella Smokey flavour is a favourite ingredient for sandwiches, bruschettas, pizza, salads, timbals and savory pies. Ideal also for snack topping or as an appetizer complement. As most fresh ingredients, once opened it shall be consumed within few days. Everybody! MozzaRisella Smokey flavour is perfect for young and elderly people, to whom is intolerant to milk or lactose, gluten or soy. Like all our products it is produced in a plant dedicated to vegetal production only, in order to minimize the risk of any allergene contamination.